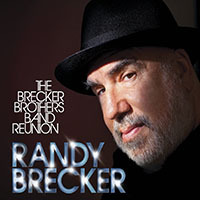 The 2003 performance documented on Some Skunk Funk may be credited to trumpeter Randy Brecker, but his brother, saxophonist Michael, joins in for a Brecker Brothers reunion with the added oomph of Germany's WDR Big Band. And if ever a band's repertoire was custom-made to be retrofitted with a larger horn section, it's that of the Brecker Brothers. 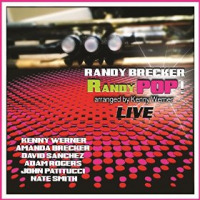 Some of the material comes from Randy Brecker's solo career: "Shanghigh" and "Let It Go" from 34th N Lex (ESC, 2003), "Wayne Out" from Hanging in the City (ESC, 2001), and a new tune, "Let It Go." 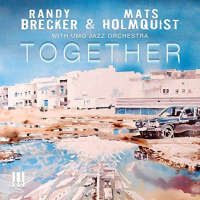 But what's remarkable is how comfortably these tunes fit in with Brecker Brothers material on Brecker Bros. (Arista, 1975) through Out of the Loop (GRP, 1994). 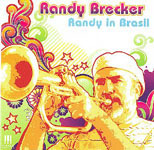 The Brecker Brothers emerged as a distinct alternative to the muscular athletics of other fusion bands during the 1970s. As virtuosic as any such group, they played a swaggering downtown New York funk that differentiated them from the higher-octane Mahavishnu Orchestra, the progressive rock leanings of Return to Forever, and the increasingly world music-driven Weather Report. Even the band closest to the Breckers' brand of groove-driven musicHerbie Hancock's Headhuntersoccupied a different space. Maybe it's because the brothers didn't feel it necessary to desert the more jazz-centric harmonies they'd learned playing with artists like Horace Silver. 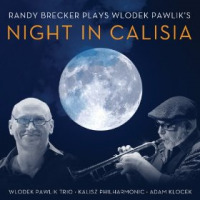 As electric and funky as the Brecker Brothers have always been, their jazz aesthetic has also distinguished them from peer fusion bands, making their best material truly timeless. Three of the ten tunes on this albumthe fiery title track, the greasier "Sponge" and the balladic "Levitate"are taken from their 1975 debut, and they sound as relevant today as they did then. 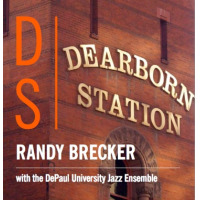 Credit, of course, goes to Vince Mendozawho arranged and conducted the tracks for this expanded Brecker Brothers Big Band. 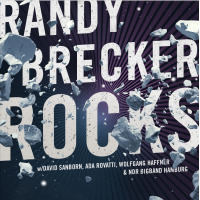 The Breckers' writing has always been characterized by rich orchestrationsometimes feeling much bigger than their small ensemble size would suggest. Mendoza's unique voice takes Michael's viscerally funky "Strap-hangin,'" for example, and layers more colors where appropriate, still twisting the arrangement into a new shape that feels like a logical extension, rather than an extensive rewrite. But with a crack core group featuring keyboardist Jim Beard, bassist Will Lee and drummer Peter Erskine, Mendoza also lets the ensemble collapse into smaller, more interactive units where appropriate during the solo sections. Solos from both brothers build on their own. Mendoza reintroduces the horn section at just the right time, pushing them to even greater extremes. And when the two brothers trade off during the song's outro, they remind us of just how powerful shared genetics can be. The rare blood disorder that has kept Michael Brecker on the sidelines for nearly two years makes Some Skunk Funk a bittersweet experience. It's a timely reminder of how important he is, and how critical it is that a stem cell donor be found. To learn more, visit Michael Brecker on the web.